Journalists and PR professionals recognised the power of social media early on as a useful tool for the dissemination of information. Stories could potentially reach millions of people, as users shared articles with a tap of the finger. Advertising and marketing have been altered irrevocably, and can be targeted at people who actually have an interest in buying a product or learning about a campaign issue. However, the last few years have seen a dramatic shift in the sharing of information and news stories, presenting a titanic challenge to clients and their brands. PR professionals are some of the most dedicated story-sharers around. Our job is to communicate the benefits offered by the brands we represent, and to ensure that information reaches the right people, in the right narrative packaging. But if someone can undo all that good work by sharing a false news story, what are our options? At a base level, it is imperative we check the veracity of the stories we share ourselves. Companies may not be able to stop the proliferation of false news, but they can follow best practice and make sure they don’t contribute to it. Their PR representatives are also in a good position to recognise and call out false news stories when they see them. Most people don’t have all the facts when they share a story. The PR officers for brands do. Journalists can do their part too, by not relying on social media to drive clicks. In modern news media, social media has made journalists as individuals far more important than they might have been in the past. Their political leanings, their past articles, and their past histories are dissected by an increasingly antagonised and cynical consumer base. 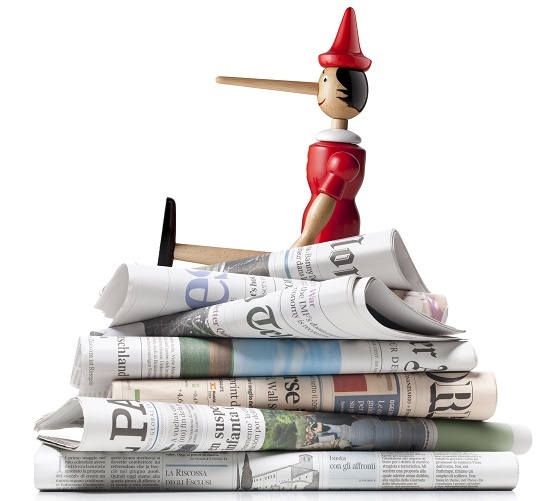 According to some in journalism, it may be time to return to using long-form articles to dispute factual inaccuracies or lies, rather than Twitter. A properly sourced and written article will always trump a catchy social media post for authenticity and authority. The recent news about Facebook’s role in the use of social media profiles, alongside false news, may end up pushing more people back to traditional print news. It is this relative trust that offers PR professionals a chance to communicate real benefits to consumers. A hearty meal, rather than an unhealthy, addictive snack.